For several years now, North Carolina conservatives have been waging a war on the poor, the vulnerable and people of color. From the evisceration of the economic safety net and the refusal to expand Medicaid, to the “surgically precise” attack on minority voting rights and the repeal of the Racial Justice Act, the attacks have been regular, coordinated and destructive. Sadly, a similar pattern has been evident in the world of academics too. From Pat McCrory’s absurd attacks on liberal arts education to the decision to forcibly remove the highly respected former President of the University of North Carolina, Tom Ross, to the sustained under-investment in community colleges and universities, the Right has treated academia as an enemy to be starved, tamed and conquered. “A proposal headed to the UNC system’s Board of Governors would bar public university centers and institutes in North Carolina from providing legal representation to clients in any sort of litigation. The broadly worded measure, submitted to the board’s education policy committee in a memo credited to member Joe Knott, would almost certainly affect organizations like the UNC-Chapel Hill School of Law’s Center for Civil Rights. The Center for Civil Rights has provided support, counsel or other aid in a variety of cases involving school desegregation, voting rights and compensation for victims of the state’s former forced-sterilization program…. Moreover, they wouldn’t be able to ‘act as legal counsel to any third party,’ employ people who do, or arrange for someone’s representation. The proposal is, in short, a right-wing ideological twofer. 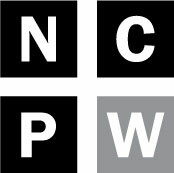 Not only will the proposal further diminish the already extremely limited opportunities that exist for the poor, the vulnerable and people of color in North Carolina to see their basic rights vindicated; it has the added, bonus impact of further ridding the university system of programs that might actually teach and inspire students to pursue careers that are about expanding rights and serving others. Of course, the idea of attacking, defunding and restricting legal assistance programs like the Center for Civil Rights and others impacted by the new UNC proposal is nothing new for the American conservative movement. At the national level, ideologues on the right have waged war on publicly funded legal aid programs for decades. Back in the 1960’s, California Governor Ronald Reagan did his utmost to attack the attorneys of California Rural Legal Assistance – a shoestring operation of anti-poverty lawyers that had the temerity to stand up for the rights of poor farmworkers who were exploited by big agribusiness. In 1995, Newt Gingrich made it part of his so-called “Contract with America” to defund and restrict legal aid providers. And so it has gone ever since – especially when the legal assistance program in question does anything other than simply represent individual clients on what one might describe as a “soup kitchen basis.” Ideologues on the right may be willing to allow a handful of under-resourced lawyers to represent a tiny fraction of the poor with deserving individual legal cases – be they related to domestic violence or landlord-tenant disputes or, say, a high-interest small loan. But if a legal aid program gets serious about making a real and measurable impact by suing to vindicate the rights of a large group of wronged workers or voters or tenants, or God forbid, working to change a law or its public enforcement so that the lives of a large group of people are enhanced, ideologues on the right will be sure to take political action to stop them. “At least one board member, Steve Long…criticized [the Center’s] involvement in a protracted school-desegregation lawsuit in Pitt County, arguing the pursuit of the case forced officials there to spend taxpayer money on a defense…. More recently, Center for Civil Rights staffers have cheered on a voting-rights lawsuit in Jones County — a locale represented in the N.C. General Assembly by Senate Majority Leader Harry Brown, R-Onslow. Not surprisingly, Donald Trump’s first budget proposal would do away with federal funding for legal services altogether. Other excellent groups could be impacted too. 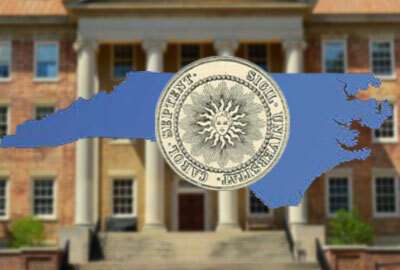 As drafted, the new proposal would bar any UNC “center or institute” from filing “a complaint, motion, lawsuit or other legal claim in its own name or on behalf of any individual or entity against any individual, entity, or government or otherwise act as legal counsel to any third party” or from employing or engaging anyone to take such action. In other words, like the Center for Civil Rights, the NCCU Veterans Clinic is about expanding rights and serving the powerless – all while educating and empowering students to bust the prevailing image of lawyers in our society. It’s no wonder that conservative ideologues would be offended. If it is not covered by the proposal, there’s no real logic to the distinction and if it is covered, it would be another outrageous injustice. The bottom line: The latest attack on the UNC centers is the byproduct of an extreme ideology that views both higher education and publicly-funded lawyers for poor people as dangerously subversive phenomena. If anything, it’s surprising that it took the proponents so long to launch their latest broadside. Note: The UNC Board of Governors’ Committee on Educational Planning, Policies, and Programs will meet this Thursday March 2 at 1:00 p.m. to consider the new proposal. Click here to learn more. Those interested in speaking out on the matter can email their views to the Board at public@bog.northcarolina.edu.